The Year 4, 5 and 6 girls’ football team did magnificently to reach the girls football festival semi final eventually losing to Clifton with Rawcliffe 2-1. The girls played some free flowing football and scored lots of goals. 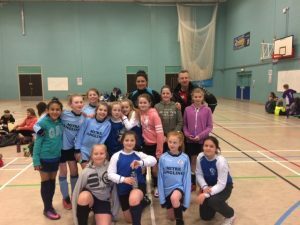 They even met a professional footballer who plays for Doncaster Belles. A very cold day but lots of fun nonetheless.